When do the Plaice return to Chesil? The answer to that is normally towards mid or late March, but this year they have started returning already. 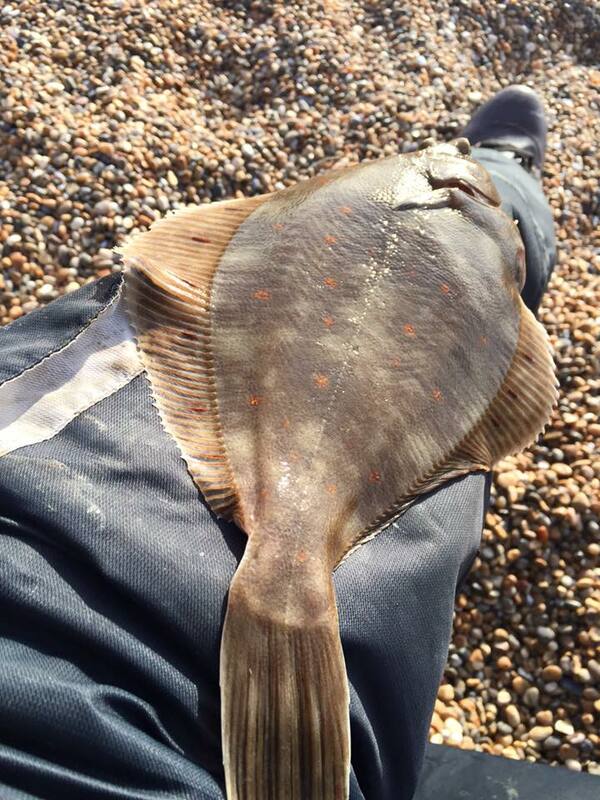 Neil Andrews fished Abbotsbury on Tuesday and despite fairly coloured water he managed to catch one of the first Chesil Plaice of the year. 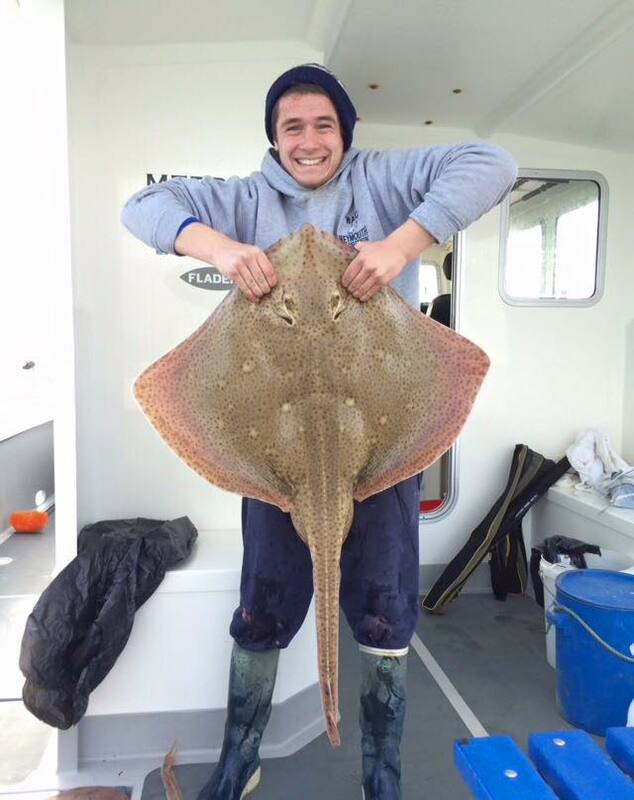 Neil also reported that the angler fishing next to him had at least 3 Plaice, all of them caught on slivers of Squid. It is a bit early for a lot of anglers to be planing a weekend trip to Chesil, but I can see the beach becoming packed over the next few weekends. Unfortunately it won’t be happening this weekend, as the wind forecast makes fishing on Chesil almost impossible. Over the next couple of weeks we will do a Plaice fishing special, to give you tips on the best bait and rigs to use. I will also show you how to make one of my favourite Plaice rigs. 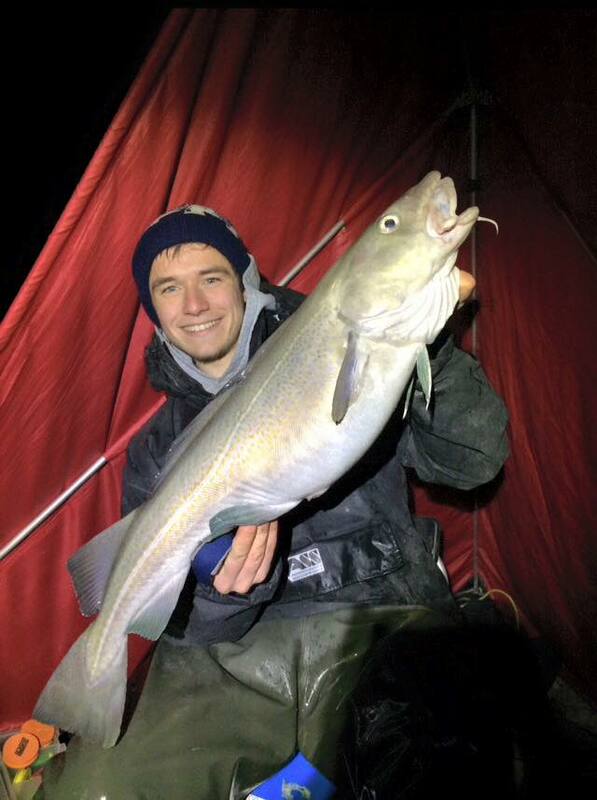 Local angler Ryan Casey had another double figure Cod this week from Chesil, making it two in two trips. Ryan is also the skipper of Meerkat out of Weymouth. This week he took advantage of a break in the weather and spent a few hours on the boat with some friends and his family. I think you would agree with me that he had a pretty good session with a reef Conger of 58lb 8oz, Double figure Undulates for his little brother Ethan and a huge Blonde Ray of 34lb, to name just a few of the memorable catches. There have been very few Rockling this year, but I would expect to see some for a few more weeks. If you are targeting Plaice then beads are going to give you an advantage in the lightly coloured water. Portland: With continued periods of coloured water the Wrasse are not moving in and neither are the Pollock. 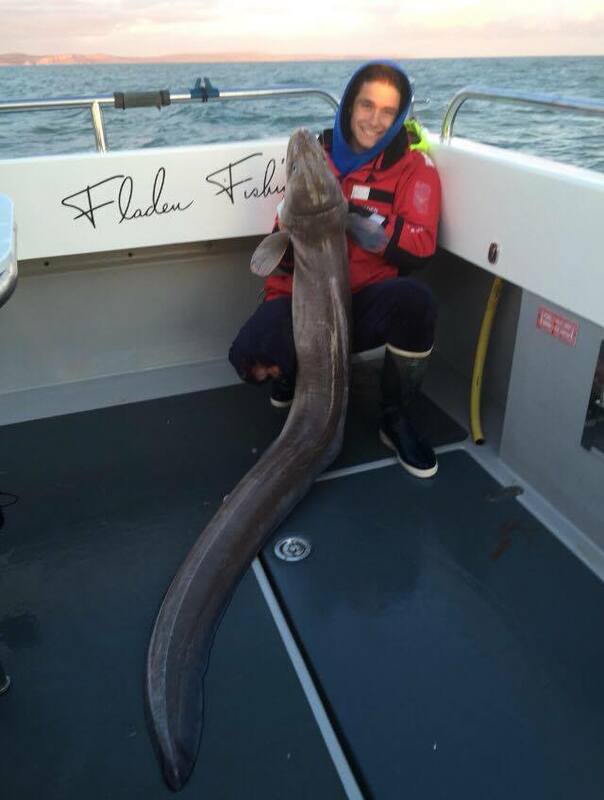 The good news is that despite the weather the Conger and Bull Huss fishing should be good. Mackerel and Squid will be the best baits. Portland Harbour: a good option for the strong winds over the weekend. A chance of Flounder around Ferrybridge and Hamm beach. Weymouth Bay: The bay and harbour will provide shelter and hopefully reasonable fishing. The Flounder fishing has been poor there this week but night tides have produced loads of decent Whiting. Be aware that the Samalite league will be fishing Preston Beach on Saturday night. 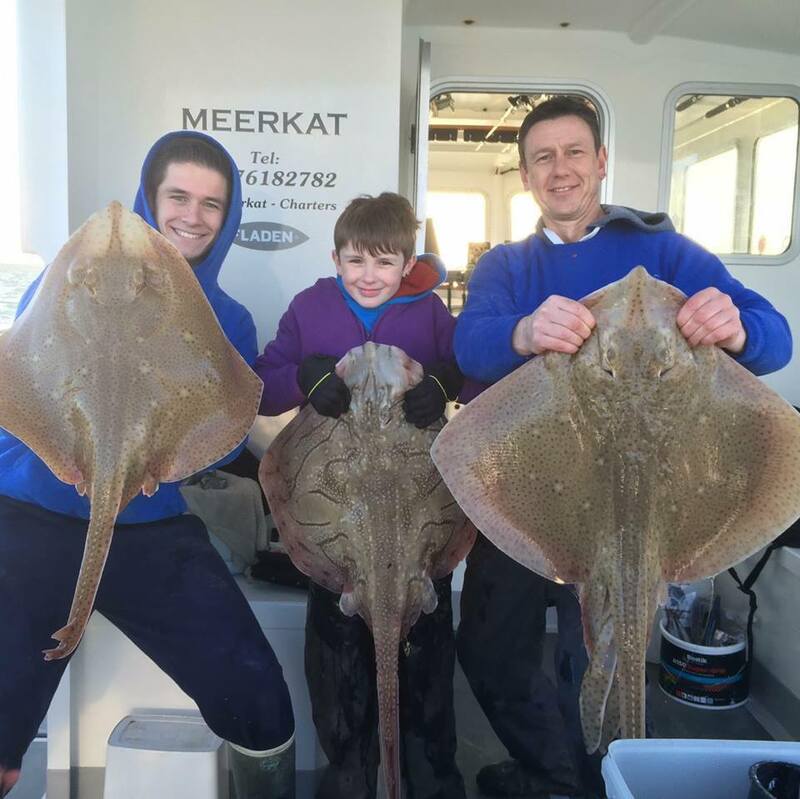 5 Responses to "The first of the Plaice are Back"
How do the fishery on meerkat manage a picture with 3 people holding rays? We’re they killed, or all caught at once? All caught at once. I know Ryan returns all Ray’s that are caught on the boat.